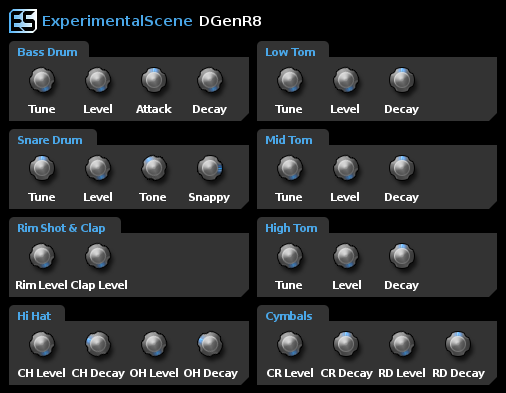 ES DGenR8 is a free virtual analog drum machine in the style of Roland's TR Series, in particular the Roland TR-909, with 11 voices and controls that mimic the TR-909: Bass Drum, Snare Drum, Low, Mid & High Toms, Rim Shot, Clap, Open & Closed Hi Hats, Crash & Ride Cymbals. DGenR8 VST 5.7.2 Setup (.exe) 0.55 MB Installs DGenR8 VST. DGenR8 VST 5.7.2 Archive (.zip) 0.33 MB ZIP archive to install DGenR8 VST manually.